You probably believe certain myths that try to undermine the abilities of chiropractic doctors and chiropractic care as a profession. Some of the common myths are mentioned below. The most common myth that tries to undermine the abilities of a chiropractic doctor is by labeling them as individuals posing as doctors. This comes from the fact that most if not all chiropractic doctors don’t wear a white coat, carry a prescription pad, have the letters MD after their name and do not prescribe pills. The fact of the matter is that chiropractors are very much real doctors and are recognized and licensed as doctors of chiropractic. 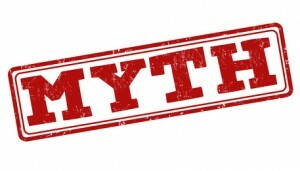 Another myth associated with chiropractic care is that once you visit a chiropractic doctor, you would need chiropractic help for the rest of your life. This is far from the truth. Your chiropractor will not force you to do anything, rather it is up to you to decide what you want to do. Your body is like a car; it depreciates over time and requires constant care to last the distance with efficiency. This is where a chiropractor plays the role of a service provider to help fine-tune your body. The biggest myth that undermines chiropractic care the most is that it is limited to neck and back pain. This is far from the truth and chiropractic care is used to cure and prevent different health problems like allergies, asthma, ear infection, headache, etc. and is in no means limited to neck and back pain. There are many other myths associated with chiropractic care but the abovementioned ones are the most common types. So the next time someone mentions these myths about chiropractic care to you, you know exactly what to do.